Frank Watson, AKA AussieWebmaster, has written a blog post at Search Engine Watch complaining that Google basically indexes content on hard liquor, such as vodka. Frank's specific complaint is that vodka results come up in Google Product Search for a search on vodka. His argument is that since Google AdWords has a policy against showing ads for hard liquor, Google should not show it in the "Google Checkout listing." I have to be frank with Frank (bad joke). Frank, even though I respect you and we are friends, you are dead wrong in my opinion. (1) These are not "Google Checkout" listings, it is Google Product Search results. (2) These are not AdWords results and the rule does not apply to Google Product Search. (3) Google does not get paid to show the Google Product listings. 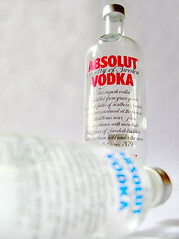 (4) People searching in vodka, should see results about vodka. Do you want a blank search page? Ask Danny says in his comment at Sphinn, if Google Checkout merchants are selling Vodka using Google Checkout as a payment mechanism, then that is against Google Checkout's terms of service, as you can see here. But let's take a look at the merchants who are selling real vodka and accept Google Checkout. Of the first five pages of results, no Google Checkout merchant is selling vodka. They are selling vodka books, vodka DVDs, vodka shot glasses and so on. But not real vodka. Most of the feedback in the thread supports my opinion on this. But some do argue and take Frank's side.